Are Stainless Steel Appliances Worth Your Money? Redoing your kitchen? Many others have chosen to upgrade their appliances to stainless steel. It looks sleek, modern and new. So, the question is: should you invest in stainless steel for your kitchen? Redoing your kitchen? Many others have chosen to upgrade their appliances to stainless steel. It looks sleek, modern and new. But, of course, stainless steel is more expensive than other conventional appliance materials. So, the question is: should you invest in stainless steel for your kitchen? The answer is different for everyone, and requires some evaluation of your options. To find out if stainless steel is worth your money, read on. The advantages that come with stainless steel are pretty useful. For one, the material doesn’t rust or stain. In regards to appliances that see a lot of moisture, such as sinks, this is a huge plus. It’s common to find stainless steel used in sink basins for this very reason. In regards to functionality, this is great for a kitchen that sees a lot of use. So, it would only make sense to transfer this same idea to appliances such as stoves or refrigerators. 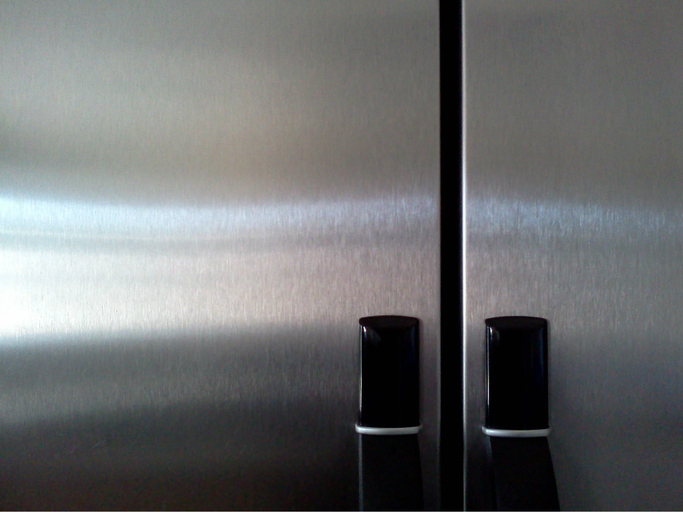 A fridge that doesn’t discolor is one with a huge advantage, because it will look newer for much longer. Aesthetics-wise, stainless steel has been popular for some time, and tends to match just about every kitchen design. And it’s no secret that homebuyers flock to kitchens with stainless steel appliances, and are willing to pay more if it means they can obtain these sleek advantages. However, there are some practical disadvantages that come with stainless steel. It’s mostly expensive purely because of the aesthetic it brings. The appeal of stainless steel is more often than not based on trend and style, and the fact that it looks newer longer. The material also shows fingerprints and smudges very easily. 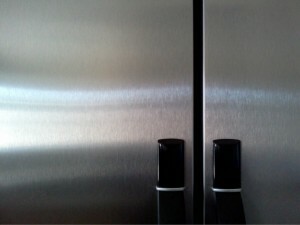 If you have kids, stainless steel may be the bane of your existence! And of course, the major downside is how expensive it is. If you don’t have the proper funds, stainless steel might not be for you, and the job can be done just as well with an appliance made of a different material. Really, it all depends on your own personal opinion and situation. If you can afford it and you’re drawn to the aesthetic, stainless steel does the job well and will work for you. But otherwise, perhaps you’d like to look at a different and less expensive material. Your Project Loan will help finance your kitchen redesign! This entry was posted on Monday, October 24th, 2016	at 11:14 am	. You can follow any responses to this entry through the RSS 2.0	feed. Both comments and pings are currently closed.